While its feel is like Waiting All Night pt. 2 theres still something relatively fresh about this. I love her vocals as always and although I'd prefer her R&B/Pop style, this is a nice change. I'm not sure if it can be a hit, though I'm hoping I'm wrong. Very Rudimental-like, but because I like them, I'm going to like this as well. I was actually surprised when I found it that they hadn't produced it.<br><br>I don't mind this direction for her. It does feel like a Rudimental (or some derivative) song but it's good that she's trying something different (for her). Dare I say Sigma too? 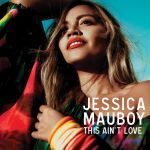 <br><br><br>Good return from Jessica Mauboy! Das stimmt, der Sound hat tatsächlich etwas von Rudimental und Sigma. Klingt auch generell nicht schlecht, aber doch etwas zu klar auf Hit getrimmt und mit zu wenig Mut zum Wahn, als dass es mich begeistert. Die Aussies etwas verspätet mit einer UK DnB Kopie :P<br><br>Nett, aber nix spezielles, ihr nächster Hit in Down Under! Surprised that one of the producers/songwriters of this song worked with David Guetta in the past considering how much it sounds like a Sigma/Rudimental song.<br><br>Not that it's a bad thing but just surprising. Oh yeah, and this song is good. Awesome track, very different sound for her, but I love it! Nettes Lied der von mir stets französisch ausgesprochenen Sängerin.